CIO's face key challenges that will significantly impact business in the next few years, whilst each forecast is significant in its own right, the confluence of all will be accountable for the IT revolution they will cause worldwide. AppsCare, Google Enterprise Premier Partner has compiled a comprehensive summary of cloud computing forecasts by Industry leaders. Worldwide spending on public IT cloud services will be more than $107 billion in 2017. Cloud has finally started to move beyond the hype and into the very fabric of today’s enterprise. Organizations around the world are gaining valuable insight into not only the potential benefits of cloud, but also the practical challenges of adopting these highly disruptive technologies. 2. Cloud technologies will converge. An increased focus on infrastructure as a service (IaaS) is accompanied by a heightened awareness about critical build, buy or rent decisions regarding IT infrastructure sourcing. For government agencies, this will lead to more options and opportunities, and will drive the need for additional analysis and a deeper understanding of how cloud computing technologies can be used to improve mission performance. 3. Gartner predicts that the bulk of new IT spending by 2016 will be for cloud computing platforms and applications with nearly half of large enterprises having cloud deployments by the end of 2017. Worldwide spending on public IT cloud services will reach $47.4 billion in 2013 and is expected to be more than $107 billion in 2017, according to a new forecast from International Data Corporation (IDC). Over the 2013–2017 forecast period, public IT cloud services will have a compound annual growth rate (CAGR) of 23.5%, five times that of the IT industry as a whole. 4. 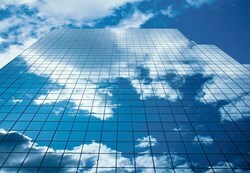 KPMG’s latest study of cloud adoption, The cloud takes shape Global cloud survey: the implementation challenge shows 70% of respondent organizations believe that cloud computing is delivering operating efficiencies and cost savings today. 5. Boston Consulting Group writes that SaaS is a $15B market, growing at three times that rate of traditional software. BCG estimates that SaaS is 12% of global spending on IT applications. BCG interviewed 80 CIOs and found they were willing to consider SaaS solutions for 35% to 60% of their application spending. BCG also evaluated how the economics of cloud software adoption vary for on-premises versus SaaS customers. 6. Worldwide spending on public IT cloud services will reach $47.4 billion in 2013 and is expected to be more than $107 billion in 2017, according to a new forecast from International Data Corporation (IDC). Over the 2013–2017 forecast period, public IT cloud services will have a compound annual growth rate (CAGR) of 23.5%, five times that of the IT industry as a whole. AppsCare®, powered by Netpremacy Global Services is a world leader in cloud services provisions, supporting over 2500 customers in 33 countries. AppsCare® comprise 10+ years experience deploying technical solutions for organisations of all sizes and geographies utilising their GStall delivery methodology and AppsCare® support programmes. AppsCare’s engineers were some of the first to achieve both Google Apps Certified Deployment Specialist (GACDS) and Cisco IronPort Certified Security Specialist (CICSS) accreditations, providing unrivalled expertise in their customer care teams.